ATLANTA: U.S. progressive groups will stage hundreds of protests nationwide on Thursday to demand that President Donald Trump do nothing to hinder an ongoing investigation into Russian meddling to help him win the 2016 U.S. election. The protests, operating under the banner "Nobody is Above the Law" and led by the activist group MoveOn, called for people to gather in cities at 5 p.m. on Thursday in an effort to protect the investigation led by Special Counsel Robert Mueller. 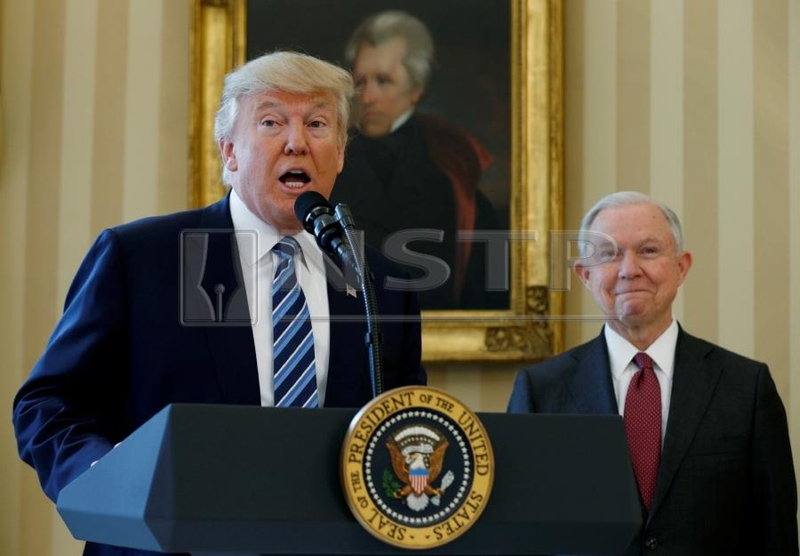 The action was spurred by Trump's move on Wednesday to replace Attorney General Jeff Sessions with Sessions' chief of staff, Matthew Whitaker, as acting attorney general. Sessions had recused himself from overseeing the Russia investigation, while Whitaker has called for it to be scaled down. "Donald Trump has installed a crony to oversee the special counsel's Trump-Russia investigation," MoveOn said on its website. It pledged that at least one rally would be held in each state.